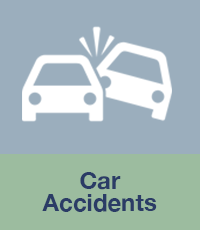 Our car accident lawyers help victims receive the damages necessary to cover medical expenses and repairs. We will even examine evidence and speak to witnesses. Mansfield Melancon’s car accident lawyers always urge the innocent victims of these wrecks to speak with us as soon as possible. There are multiple reasons for this. The time you have to bring a car accident claim in Louisiana (also referred to as statute of limitation or prescriptive period) is highly important for your claim. If a lawsuit is not filed timely, your claim could be lost. Louisiana’s period for filing a lawsuit for most car accident cases only lasts a year after the accident. Contact a car accident lawyer at Mansfield Melancon to discuss your case immediately. Often times it is imperative that you have a thorough, professional, and immediate investigation of the accident. Many people do not think of personal injury attorneys as investigators, but that’s an important part of our job. Your investigation is made significantly easier when it is started as soon as possible after your accident. Mansfield Melancon’s car accident attorneys are especially equipped to conduct a proper investigation into your accident, provided we have as much information as possible, as soon as possible. Every accident is unique, of course, and so every investigation is going to depend on the specific details of the wreck in question. However, some common elements tend to arise in car accident investigations. As you can imagine, these tasks are much easier when they are conducted soon after an accident. You don’t want to see a witness’s memory fade or physical evidence disappear or become damaged. As noted, these investigations are not paint-by-numbers affairs. They’re not easy or simple. They require experience and know-how. Mansfield Melancon’s car accident lawyers offer both of these traits. We’ve investigated countless accidents over the course of our work as personal injury lawyers. We understand how important the little details of these cases are. Significant verdicts turn on these details, and while no car accident lawyer can promise you a specific result, we understand that a successful result in your case can make all the difference in your life as you recover from your injuries. What Type of Damages can I Recover from my Car Accident? In certain situations, an injured car accident victim may be able to recover punitive damages from the operator of the motor vehicle. Punitive damages are usually awarded to the victim of an accident for the purposes of punishing the wrongdoer. These types of damages are generally associated with drunk or impaired drivers who cause a car accident. If you are in need of reliable legal advice on how to proceed after a car accident, contact Mansfield Melancon immediately to make sure your rights and interests are being protected. It is important to receive compensation for your car accident. It is equally important to have a team of skilled lawyers who will provide the personalized attention your case requires and deserves. You can reach us at our New Orleans number at 504-500-1108, Baton Rouge number at 225-612-0800, Lafayette number at 337-409-0003, or you can contact us online. You can also send us an email with questions about your claim at info@mansfieldmelancon.com.